Gas station Taquerias are often not located in the desirable part of town. Pulling up to a gas station with a flashy bright red convertible can have its drawbacks and my visit to El Tacaso was one of those times. 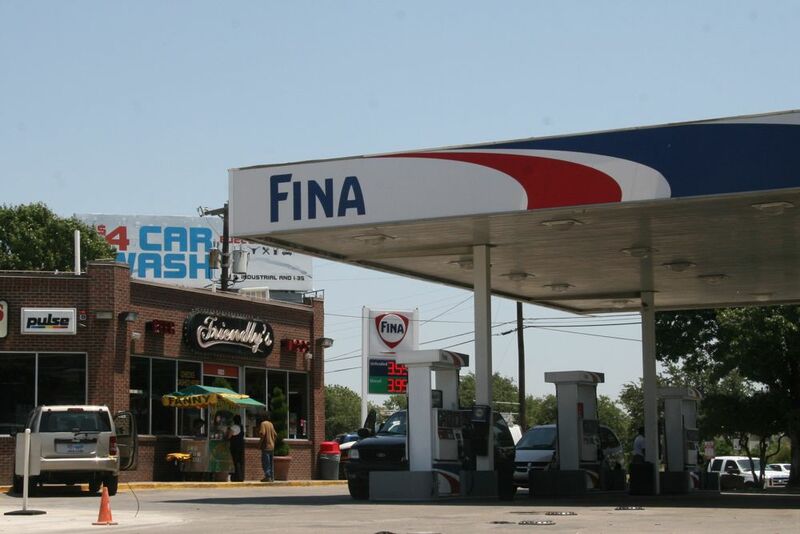 I began filling my tank and walked over to the outside counter of the taco stand with its faded blue awning. Immediately as I approached a homeless man missing most of his front teeth and wearing a t-shirt that read “Tap it and they will come” was standing very close to me asking for some change. I hadn’t even placed my order yet and was in possession of a single $20 bill. It was suddenly my turn to order and I went with 2 fajita beef, 2 pastor, and 1 chicken taco all on corn tortillas with cilantro and onions. The gentleman next to me waited for my change — $13.75 –hoping I would pass him a couple bucks and did not, at that moment. He proceeded to tell me about how nice the two ladies are working the Taqueria and how “not so nice” the people are inside who run the gas station. I soon left El Tacaso with my bounty of tacos and Mexican Coca-Cola sans a new girlfriend. The tacos at El Tacaso are loaded with meat, a decent amount of cilantro, and a pile of grilled onions on the side. My container of 5 tacos came with 3 co ntainers of salsa roja. In addition there was a full lime cut into 4 wedges. The corn tortillas were decent, nothing fantastic, but had a good flavor and held the decently filled tacos well. My first bite into the fajita beef taco instantly made me think this place is worth all the trouble. The beef was cut into small diced cubes and had a burst of flavor. The meat was also very lean in all the tacos and was one of the rare times I didn’t have to pick out a bunch of fatty chunks. I kept on enjoying the two beef tacos dipping them into the salsa roja that had an intense kick to it. For those who do not like a lot of spiciness, the salsa is to be avoided. If you do love a significant amount of chilies in your hot sauce, El Tacaso’s homemade sauce will be one of your favorites. There is plenty to like about it. I wondered if there is a salsa verde available too. Unfortunately, this time I did not request any salsas and was simply given the salsa roja containers by default. Next I tried the pastor tacos which also came diced in small chunks with plenty of seasoning and a robust red coloring from the anchiote spice. Again very lean meat, plenty of flavor and with some dunks in the salsa it made for a very enjoyable taco. Some pineapple would’ve made it even better, but I went with adding some grilled onions. Finally I had a lonesome chicken taco. I rarely get chicken tacos, but for some odd reason I decided today I would and I was glad I did. The chicken tacos at El Tacaso are excellent. They are all white mean that is finely chopped without any fat and plenty of flavor. 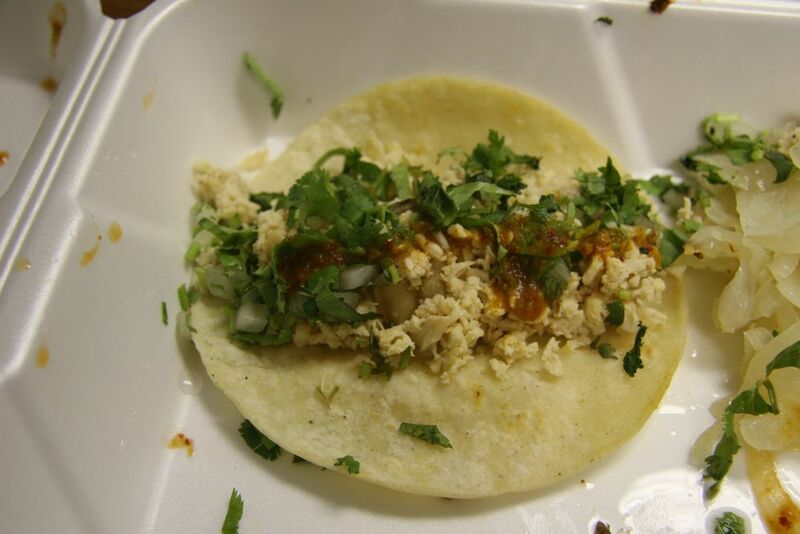 The quality is very high, like the beef and pork tacos I had, but the chicken taco really won me over. So far this is the best gas station chicken taco I’ve had in Dallas, or anywhere else. 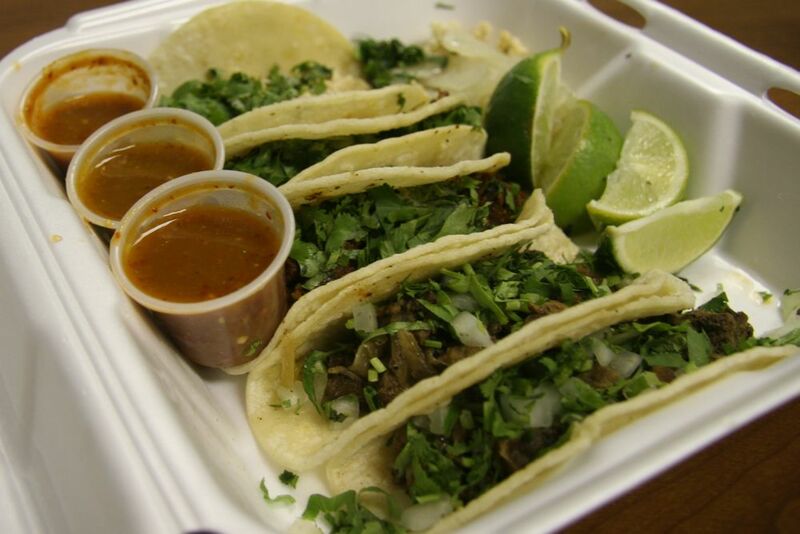 Provided you are up for a little more adventure than the typical run to Fuel City, you might want to give El Tacaso a try. I’m actively shopping for a $500 car on Craigslist so I can enjoy this place without all the extra unwanted attention.